In November 2013, a group of software and electrical engineering students founded CPPFuzz.com to help people learn programming with ease at home and blog about their activities and projects. Arsalan Karamat is the founder and CEO of Cppfuzz .He is a bright young student of MCS, NUST and a passionate programmer. He is leading the team of cppfuzz in it's battles to help people learn programing and how to utilize it. Ahmad Aziz is the MD of CPPFuzz. He currently leads the team of Cppfuzz and works hands in hand with Arsalan Karamat to create Cppfuzz a better place for all. 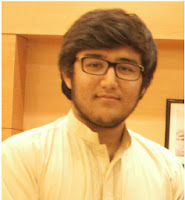 He too is a student of MCS, NUST.